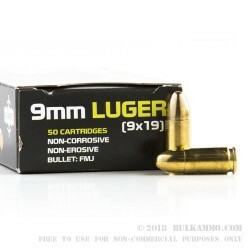 Produced in Macedonia by Sumbro, this bulk package of 9mm Luger features a 115-grain lead core full metal jacket projectile, loaded into boxer-primed, noncorrosive reloadable brass cases. 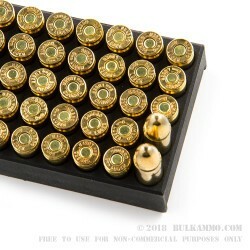 This economical training and range day ammunition is a reliable alternative to more expensive brass cased ammo and has twenty, 50 round boxes of Sumbro 9mm. 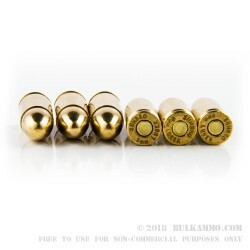 This ammunition does feature hard military primers, which does not make it ideal for striker fired pistols, or for pistols that feature firing pin retraction Springs. This feature protects against slam fire incidents. 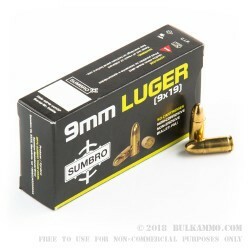 Since 1981, Sumbro has produced ammunition at their mountain facility in the Republic of Macedonia. 3 out of 10 failed to fire. OK but not the best.